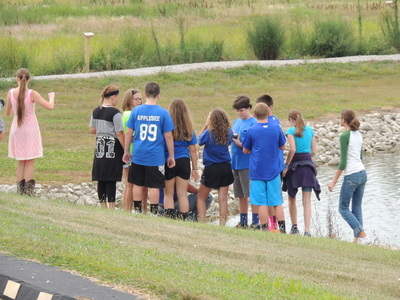 Purpose: Develop an unused area into a function, efficient site where classrooms from both the Junior High School and Senior High School utilize the site for Biodiversity and general Environmental research. Location: West of the Maroa Forsyth High School, adjacent to the retention pond. 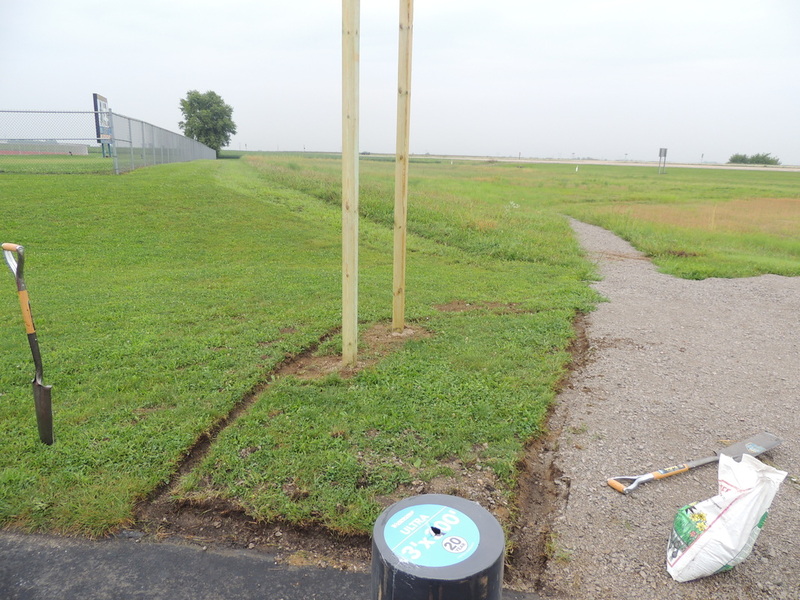 Small Educational Signs: Created by the Mech Tech Class, flip signs about environmental cycles and environments within the prairie plot. 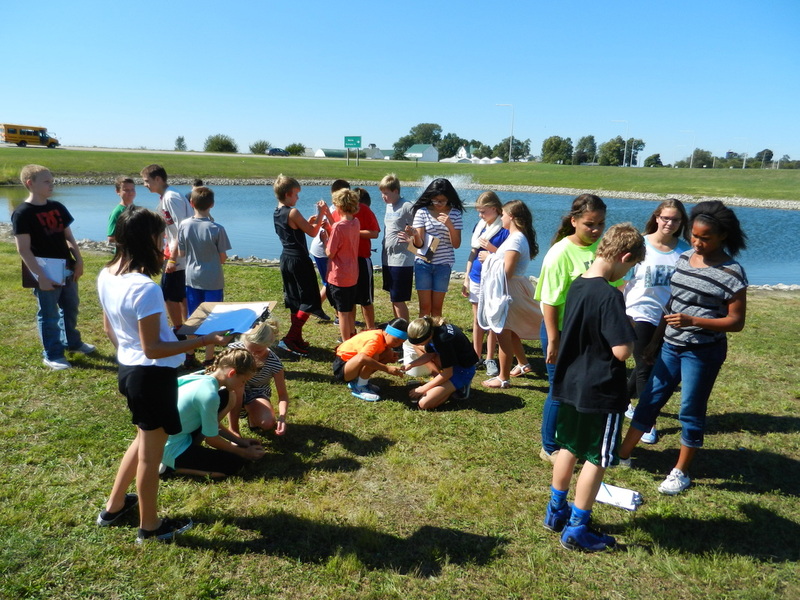 Outdoor Classroom: designs will include the eventual development of outdoor seating, and tables where students will be encouraged to work through problem sets about ecology and biodiversity. 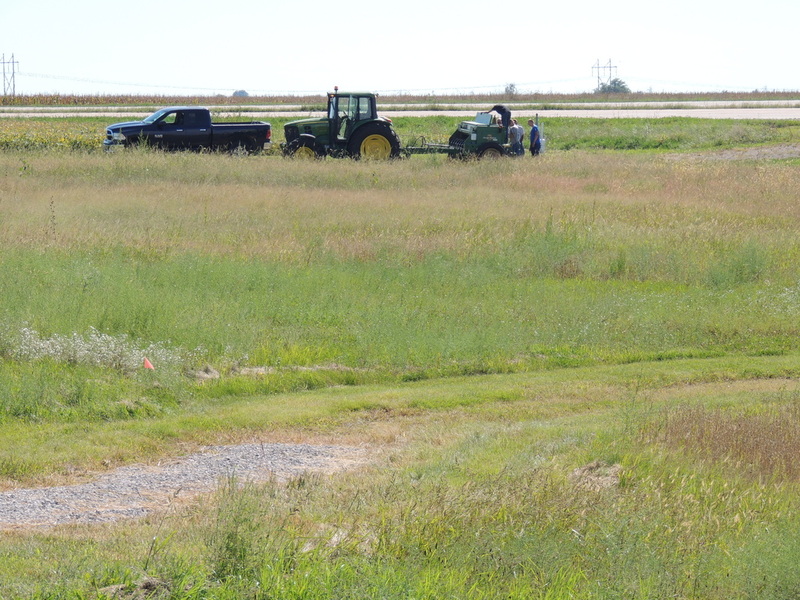 "Phantom Operations in the Field"
The Ag Business and PSAA classes will be utilizing the plot while learning how to effectively utilize Drone Technology. We plan to have an update soon. 4. Offers a community resource and educational walking trails. 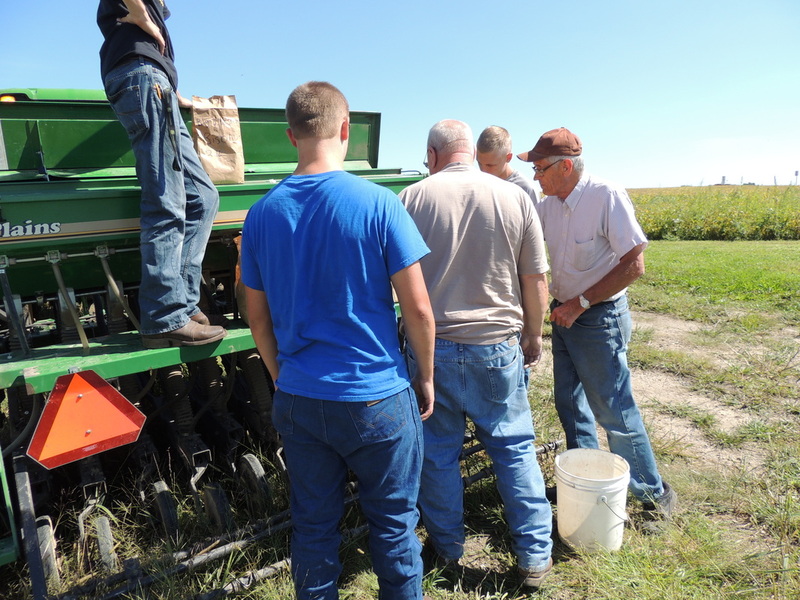 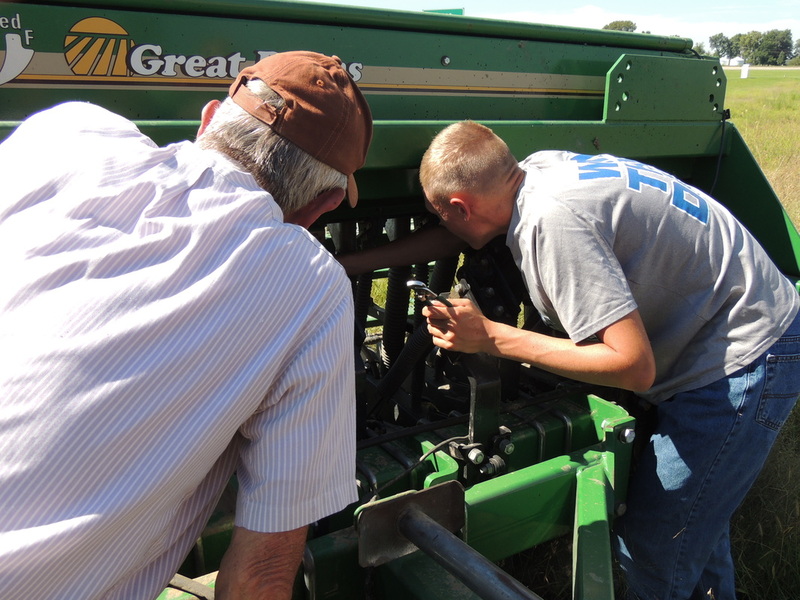 Maroa Forsyth Soils Evaluation Team - utilizes the plot for profile evaluation! 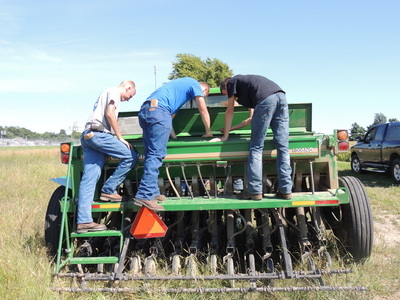 These boys are discussing and evaluating the thickness of plow layer that has been created over the last several years in the Prairie Plot reestablishment. 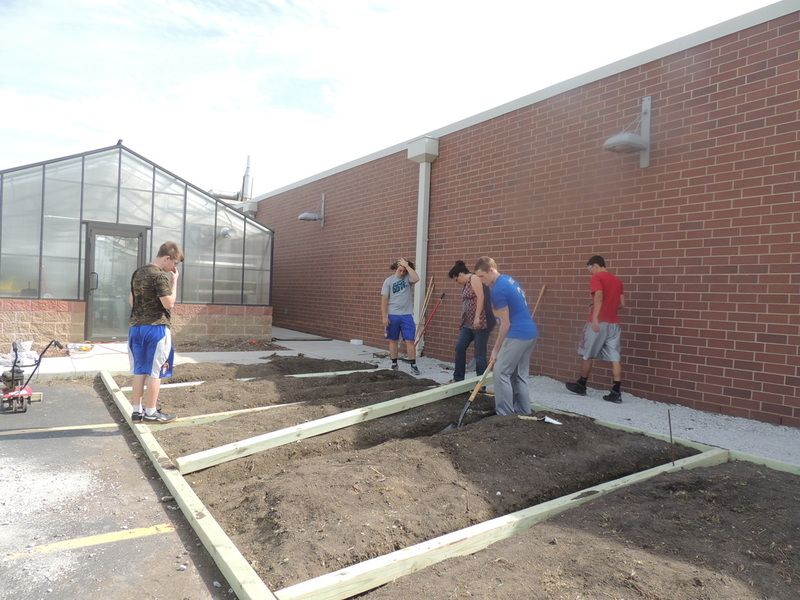 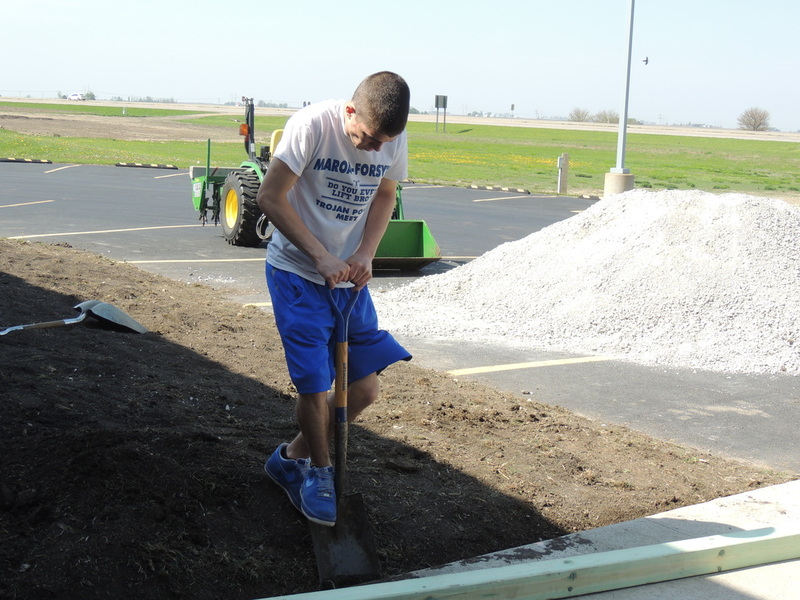 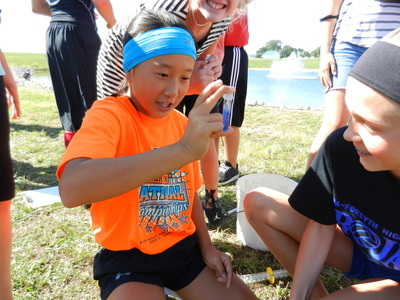 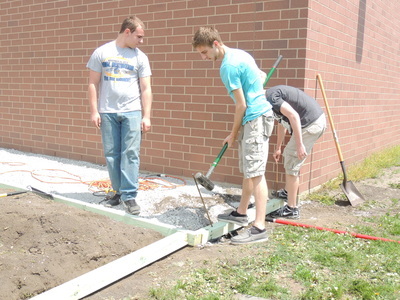 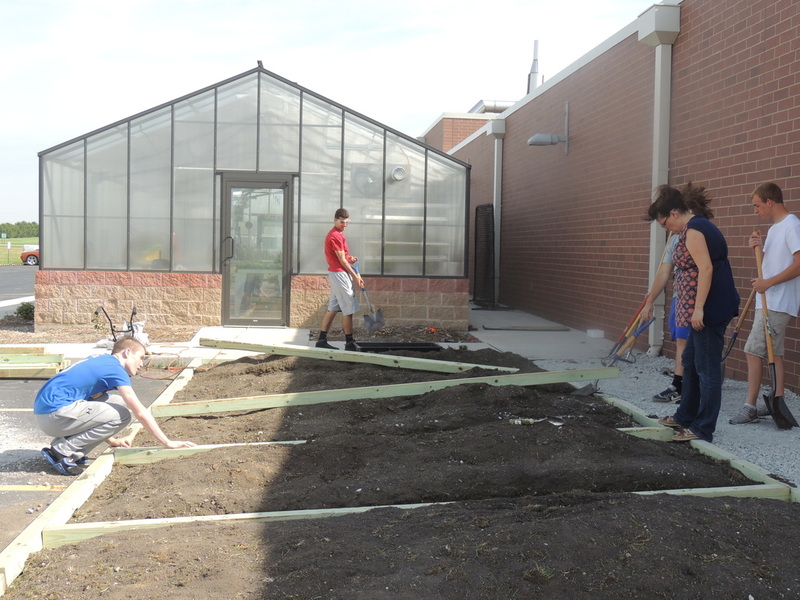 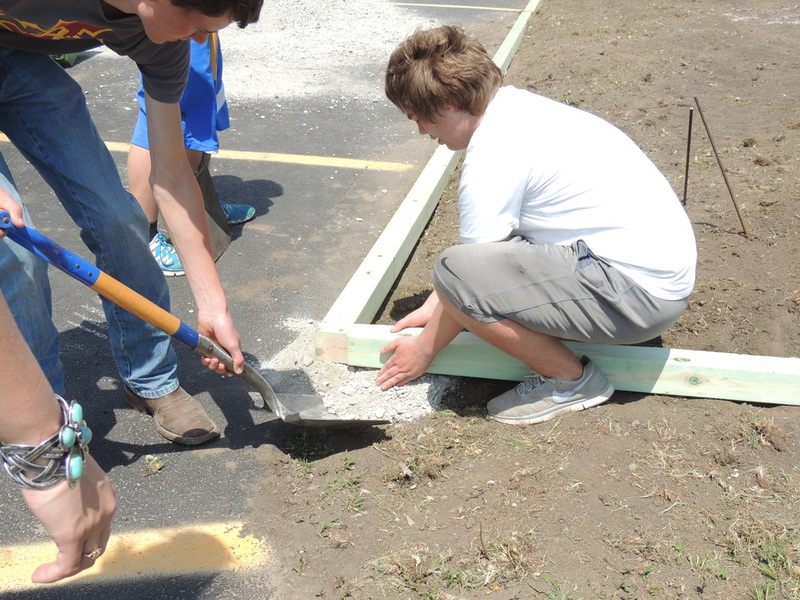 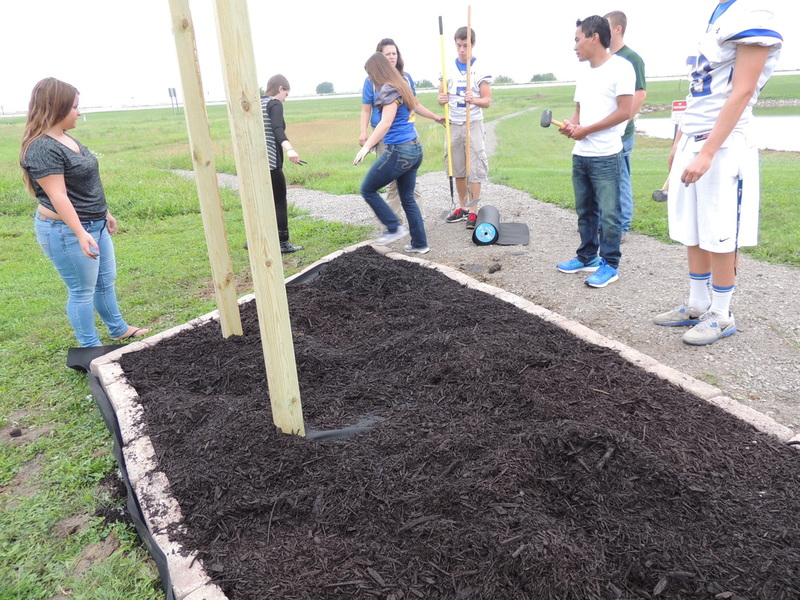 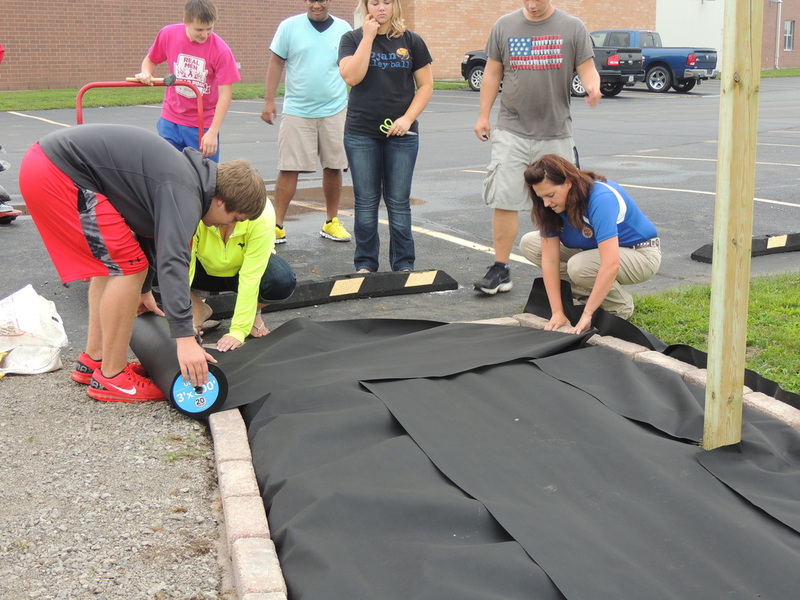 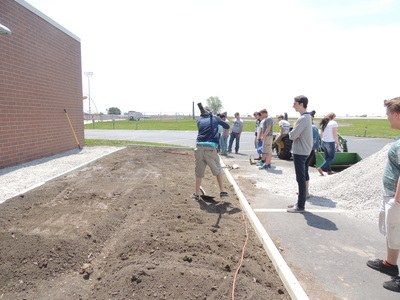 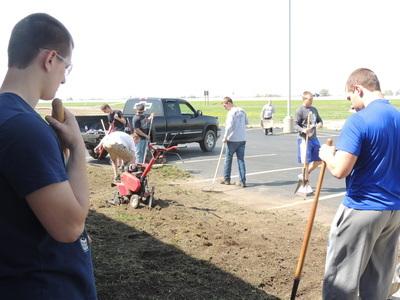 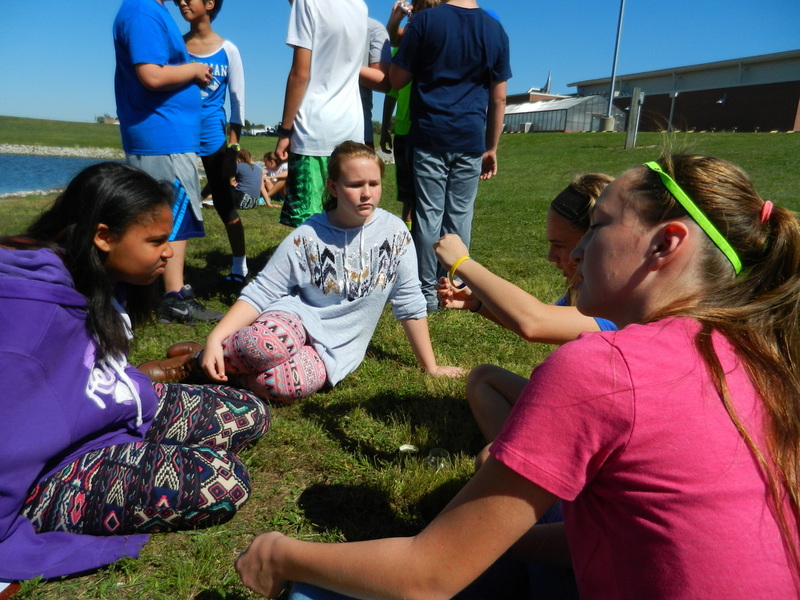 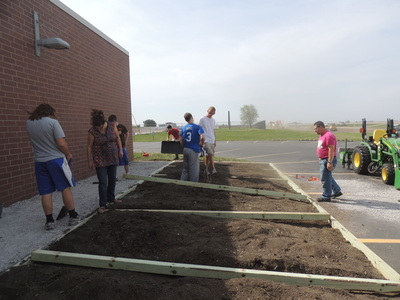 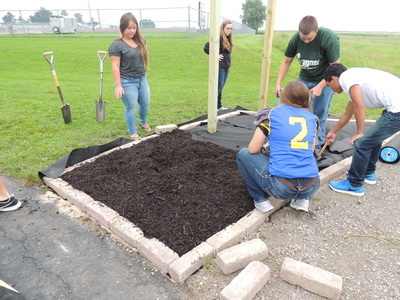 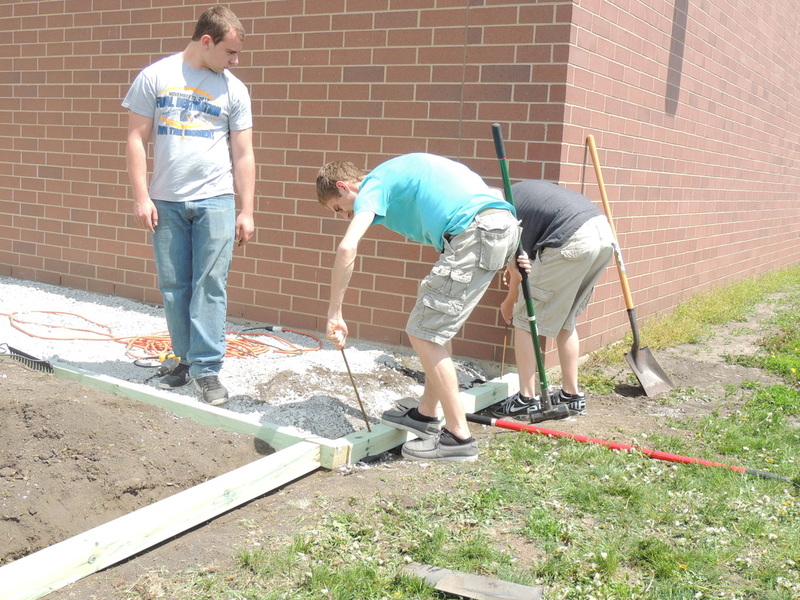 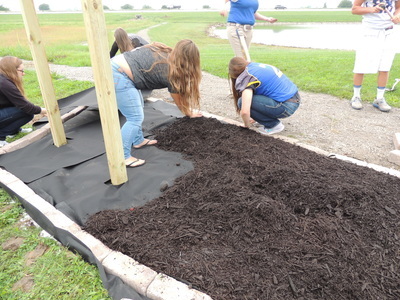 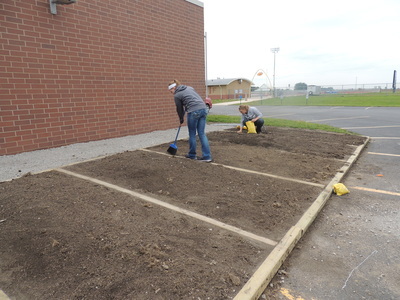 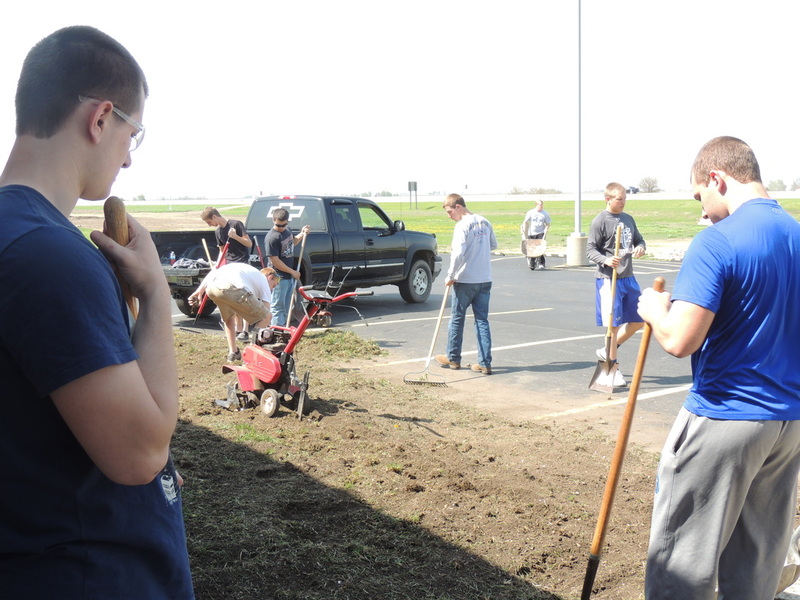 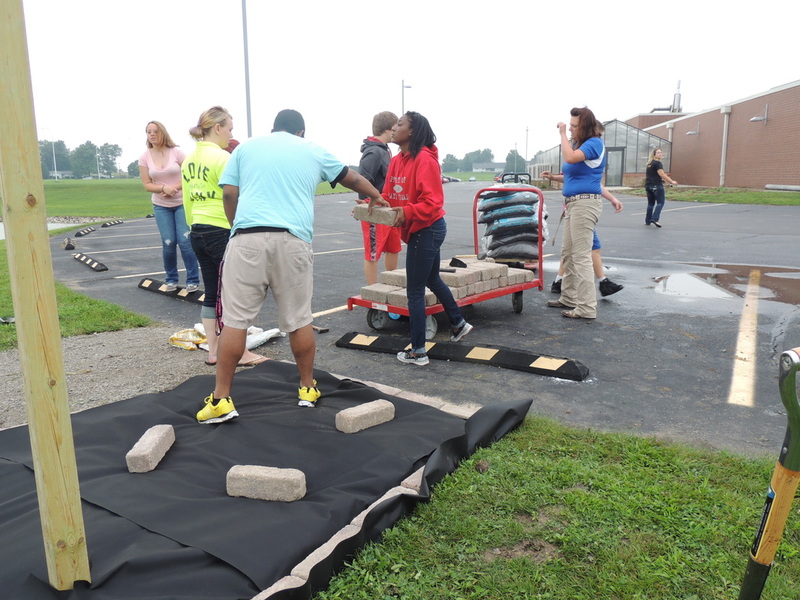 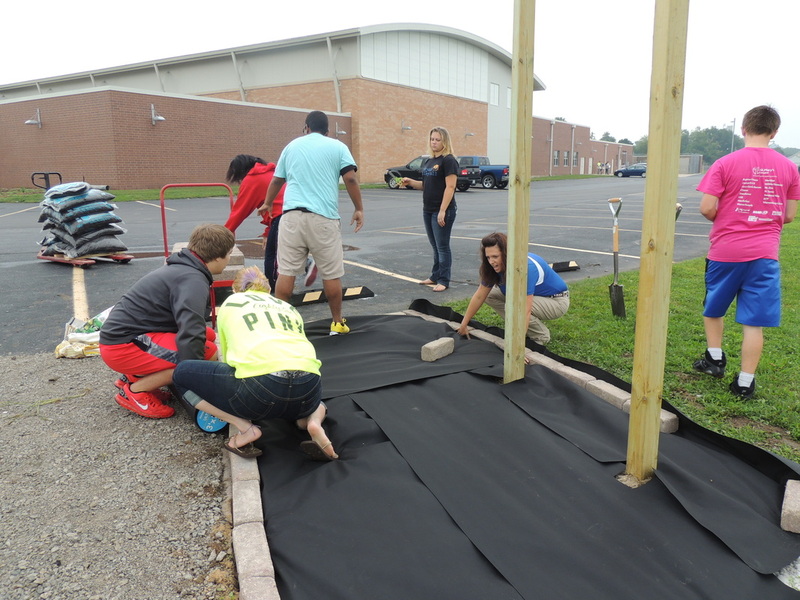 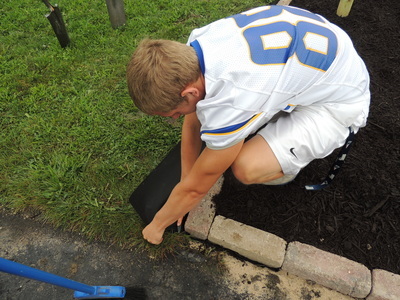 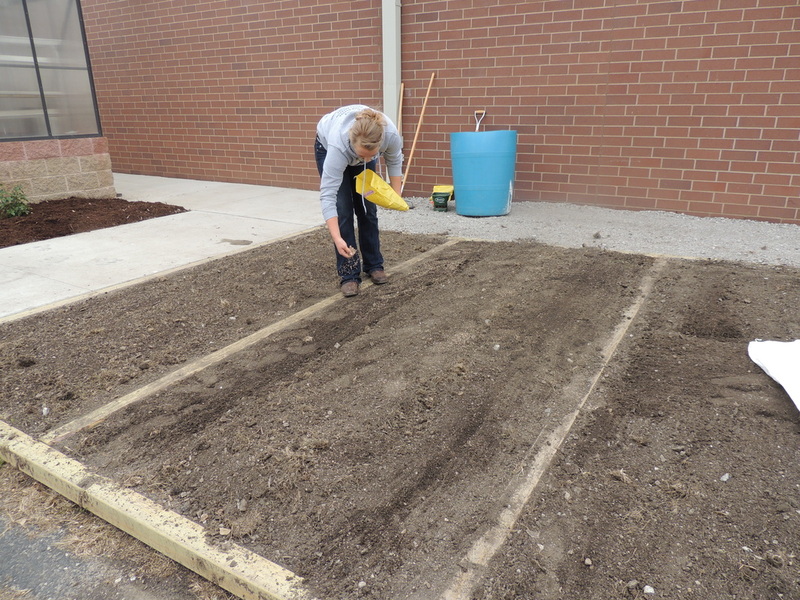 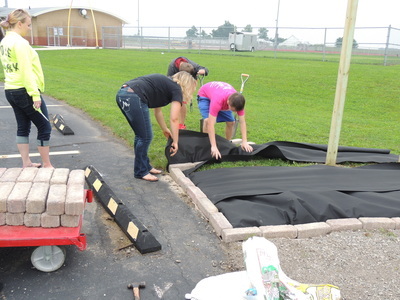 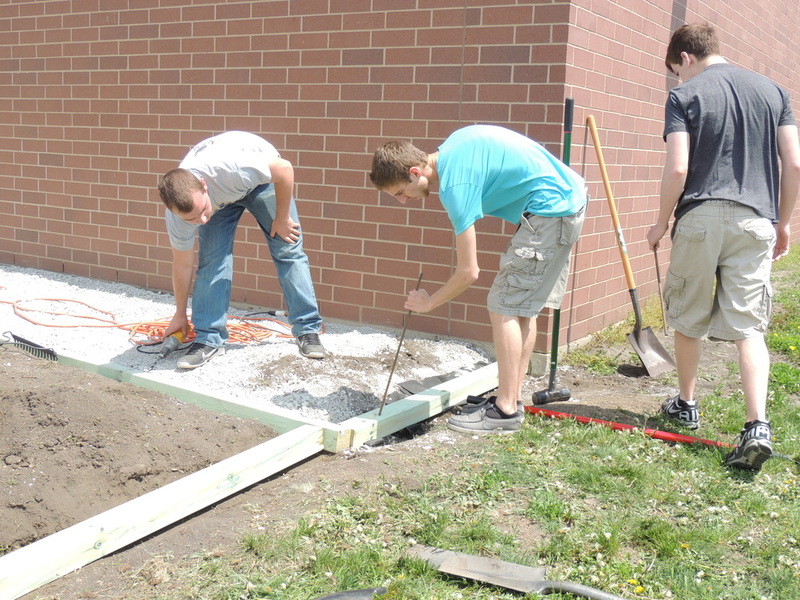 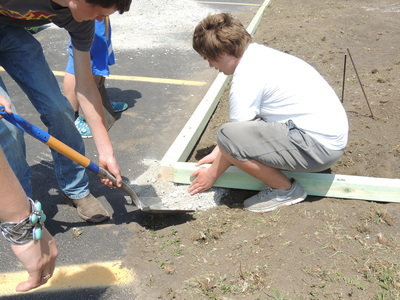 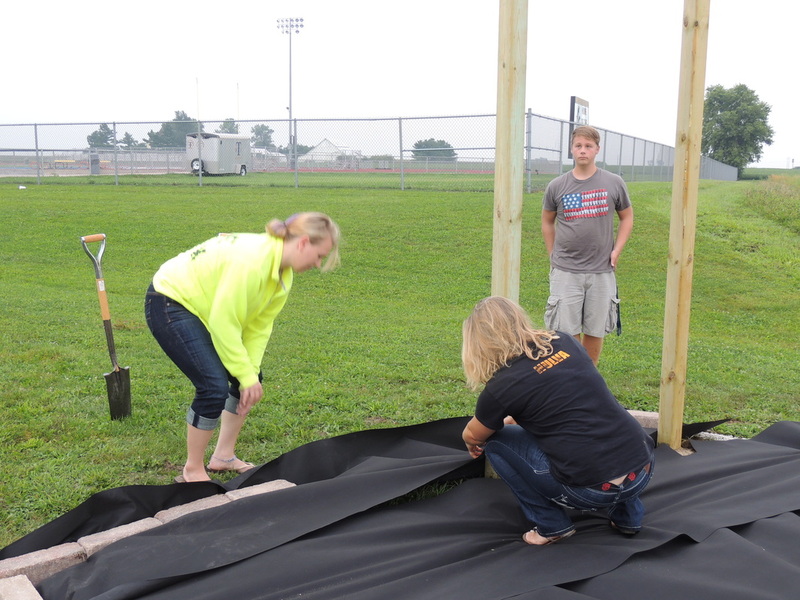 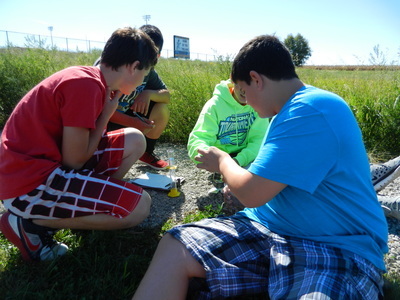 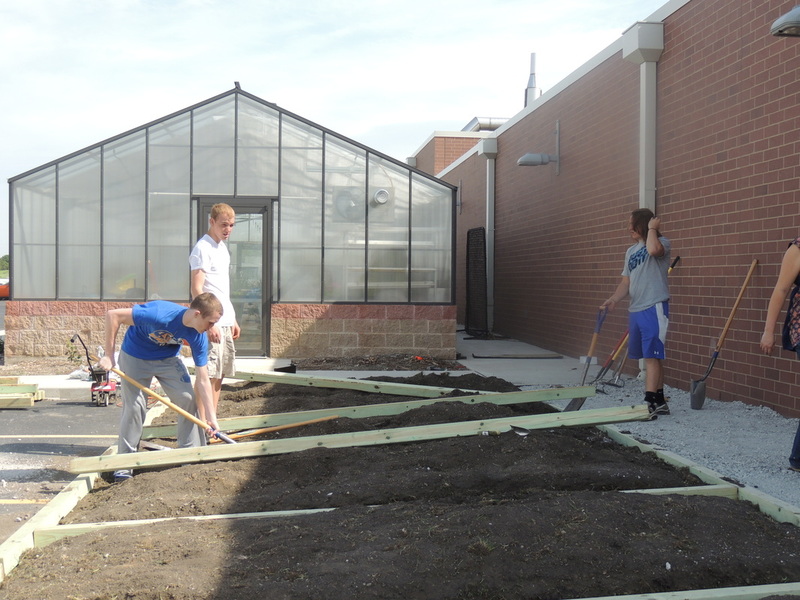 Maroa Forsyth Junior utilizes Nutrients for Life materials while creating real life lessons. 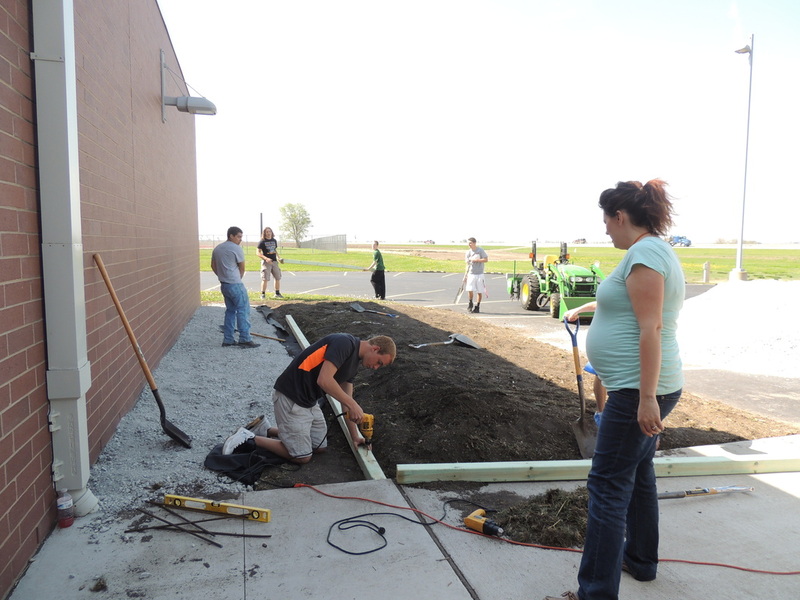 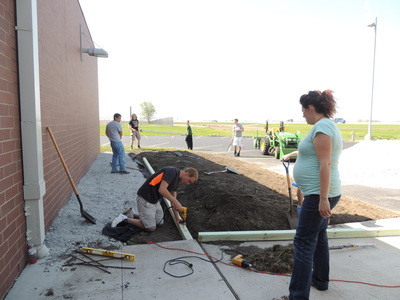 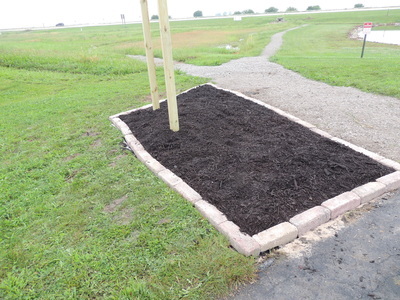 A huge thank you to Farm Credit for providing the funding towards the Prairie Plot sign. 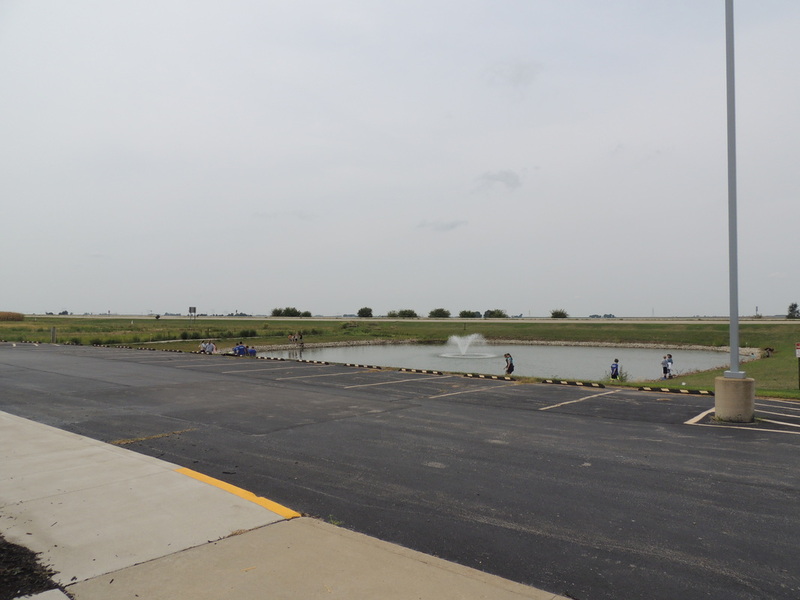 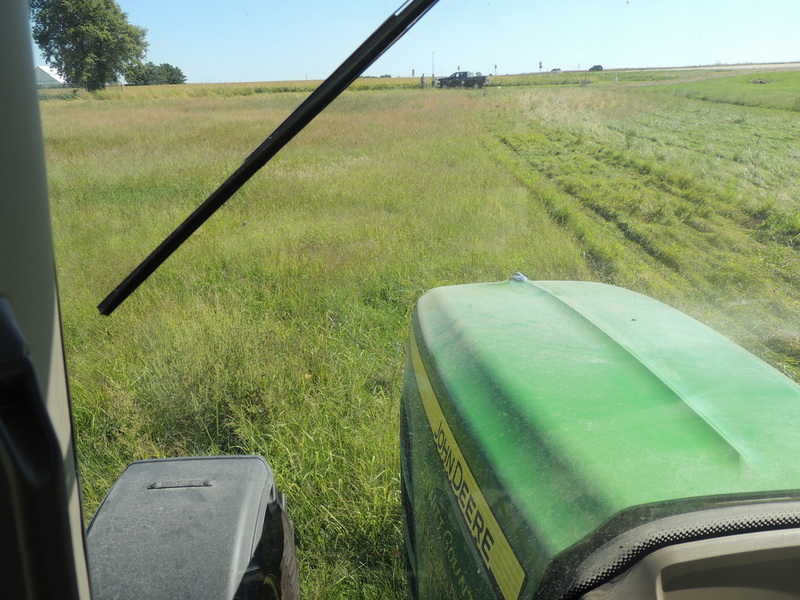 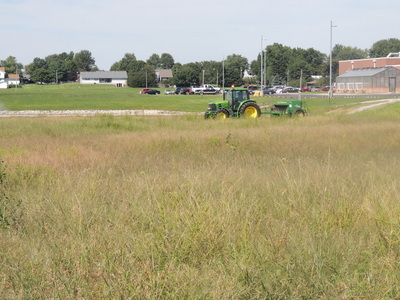 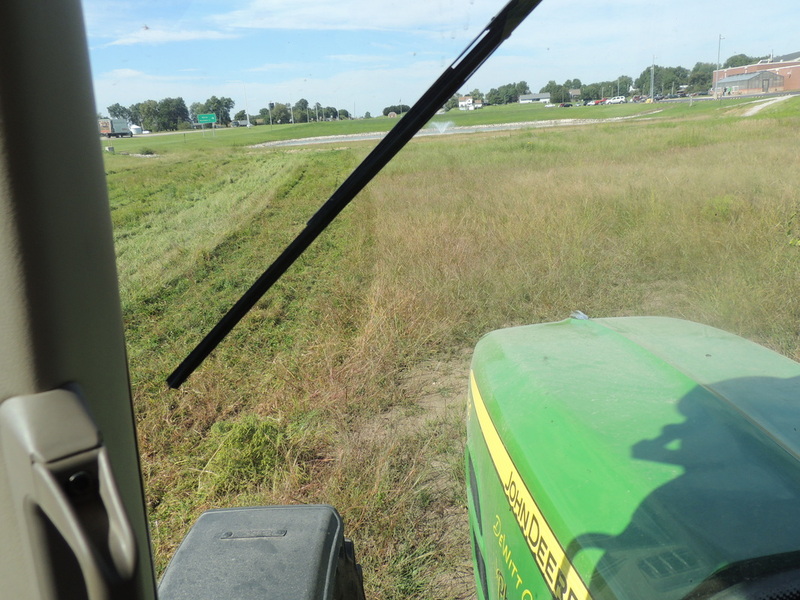 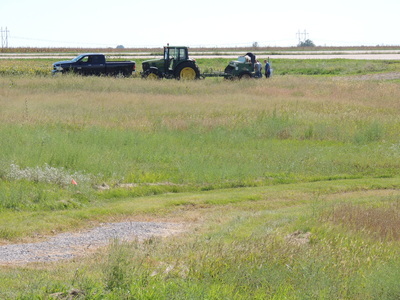 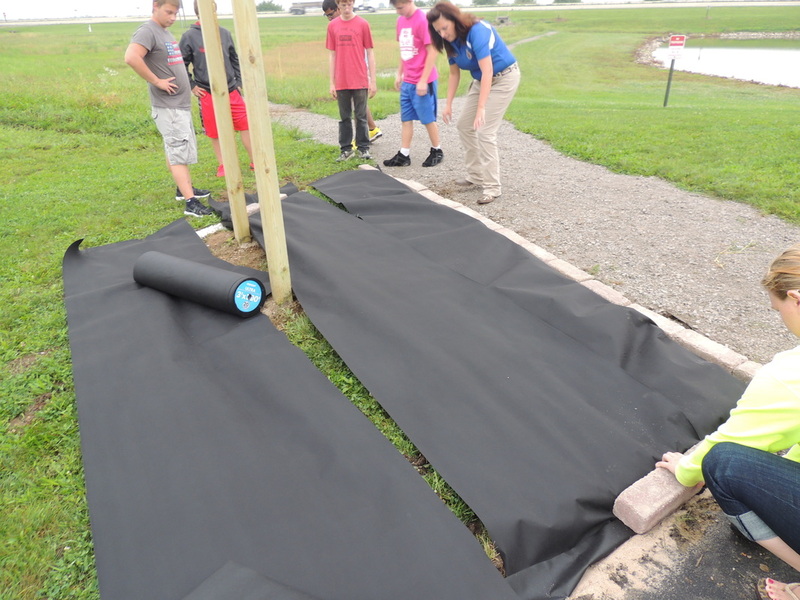 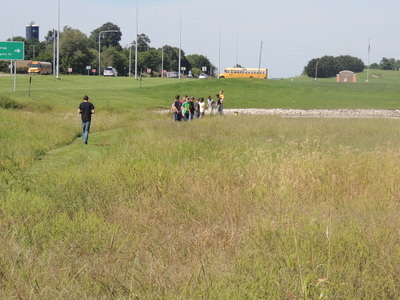 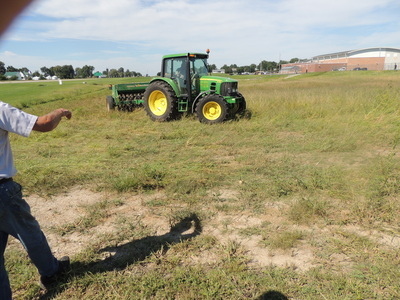 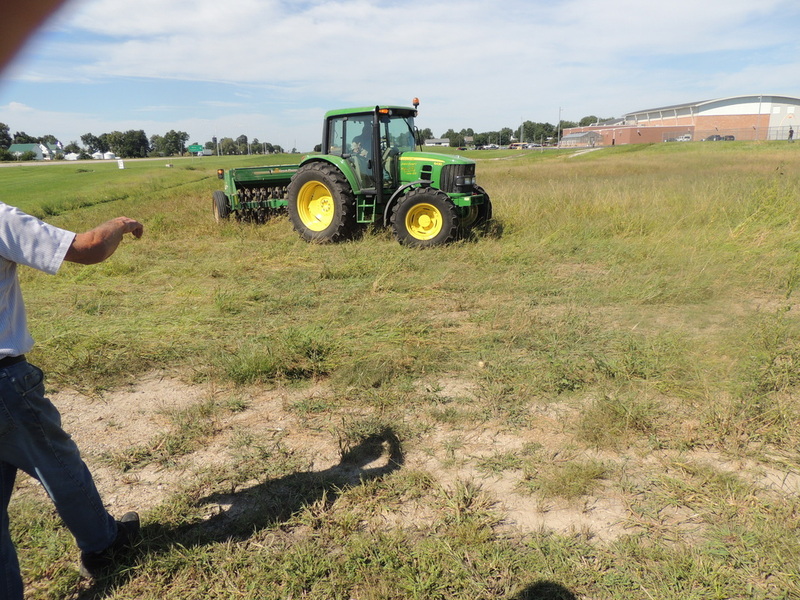 It invites the community to enjoy the trails and gain knowledge of native prairie grasses. 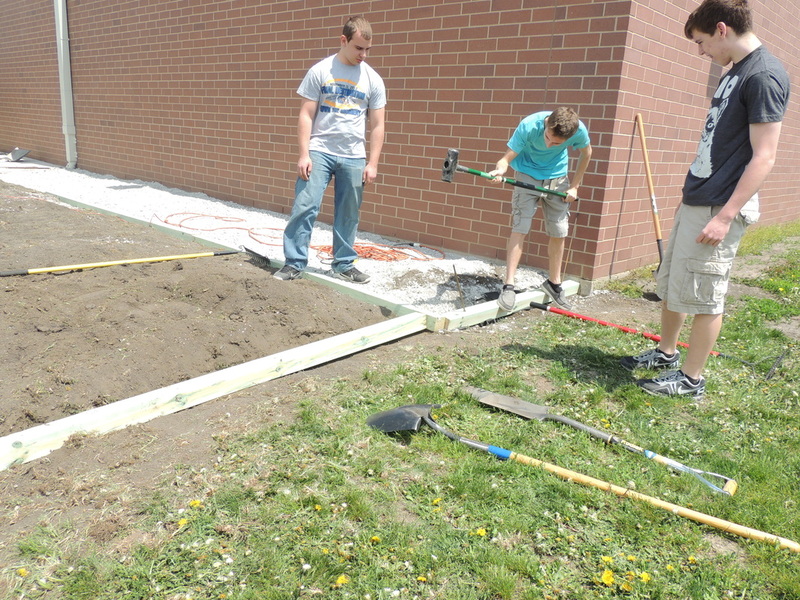 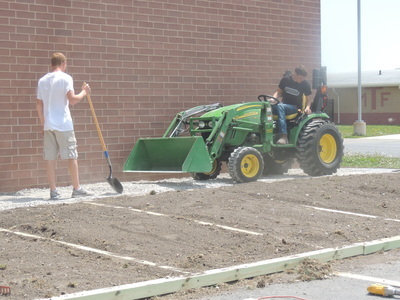 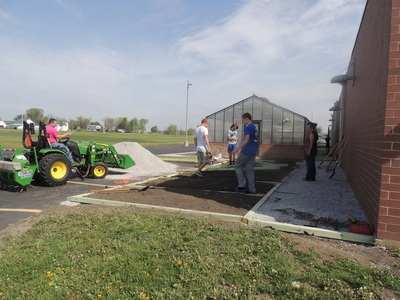 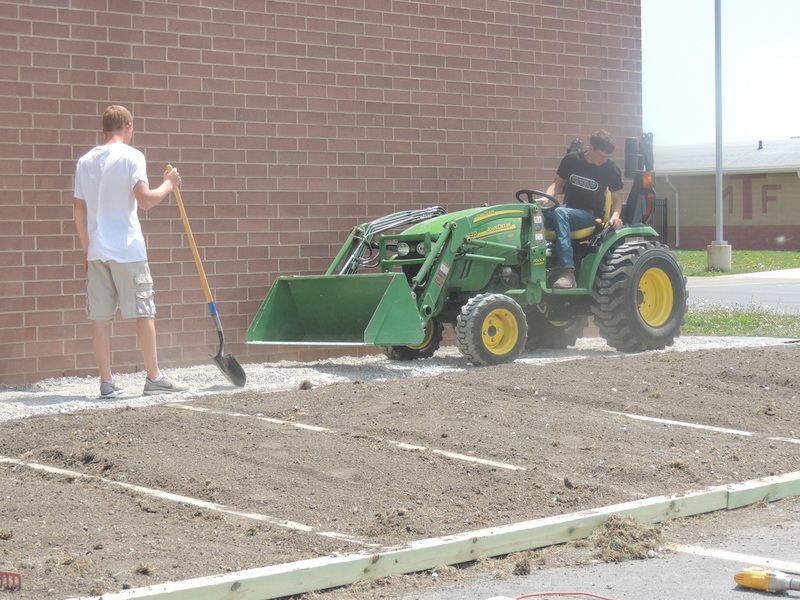 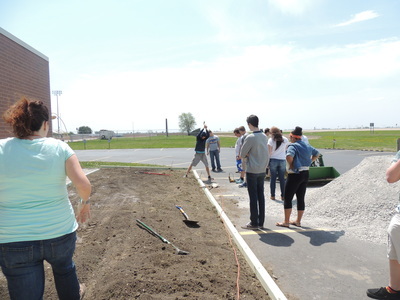 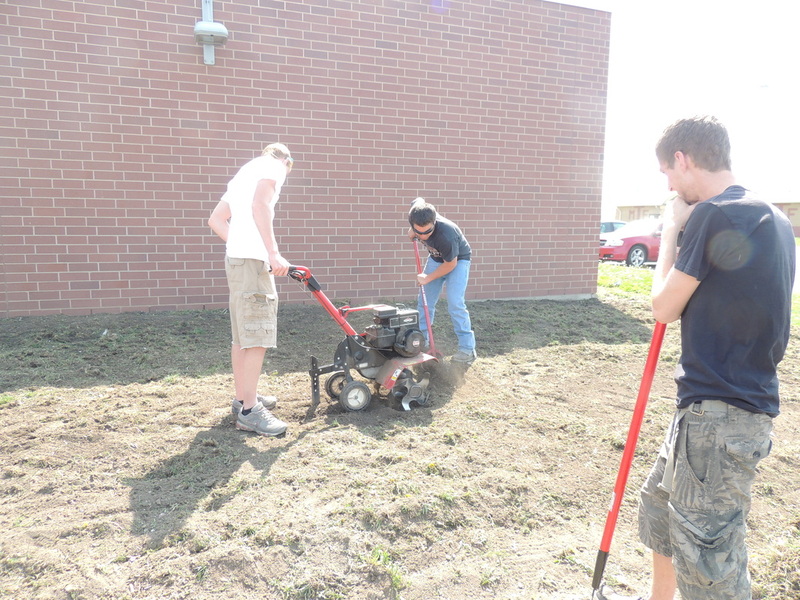 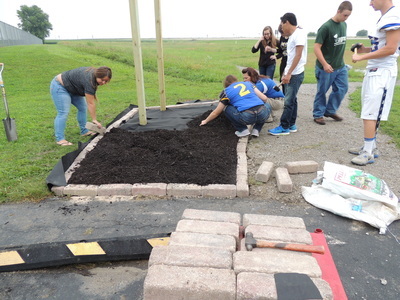 The FFA was one of the few organizations to receive the grant. We want to thank our local Farm Credit as well as Sara Foley for presenting the check! 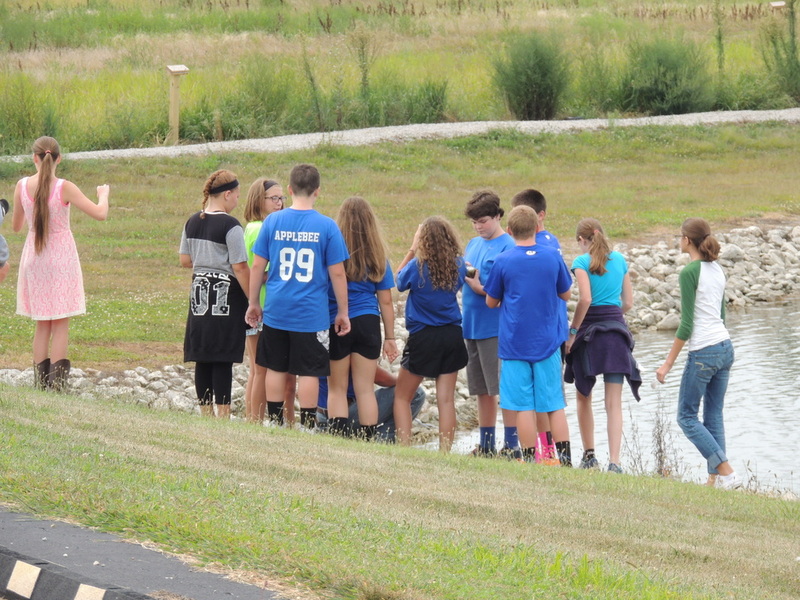 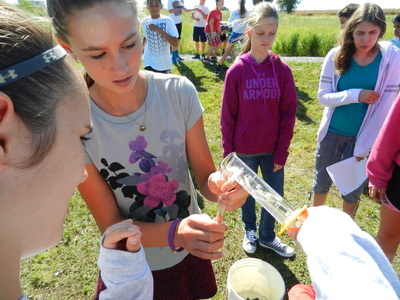 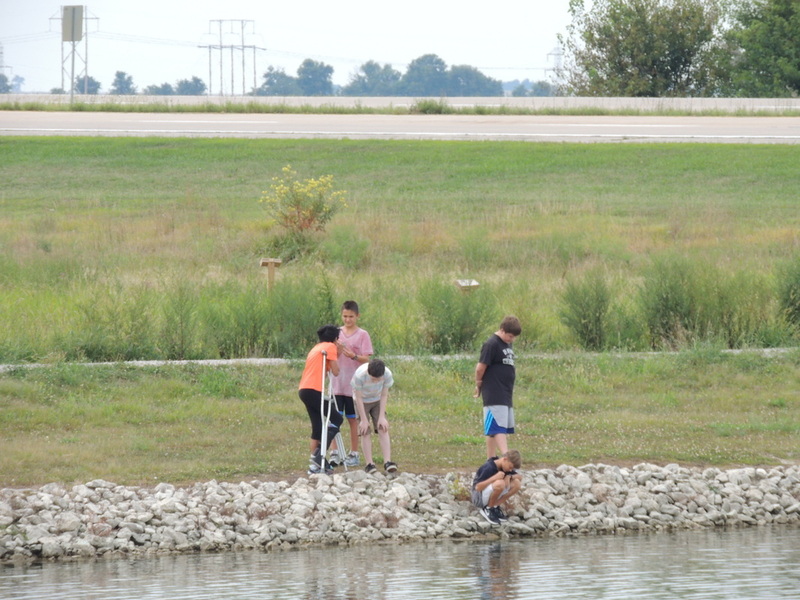 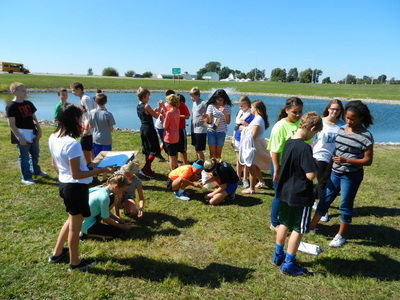 7th grade begin using the pond and prairie to research biodiversity!